Ah, the days when radio was king and Fire Bottles ruled. Join me in the WayBack Machine back to the late 40s or early 50s. Sittin' with your babe in your 40 Ford or 57 Chevy convertible listening to the tunes and hoping you got to 2nd base before your battery ran down. On the other end of that radio might have been one of these. 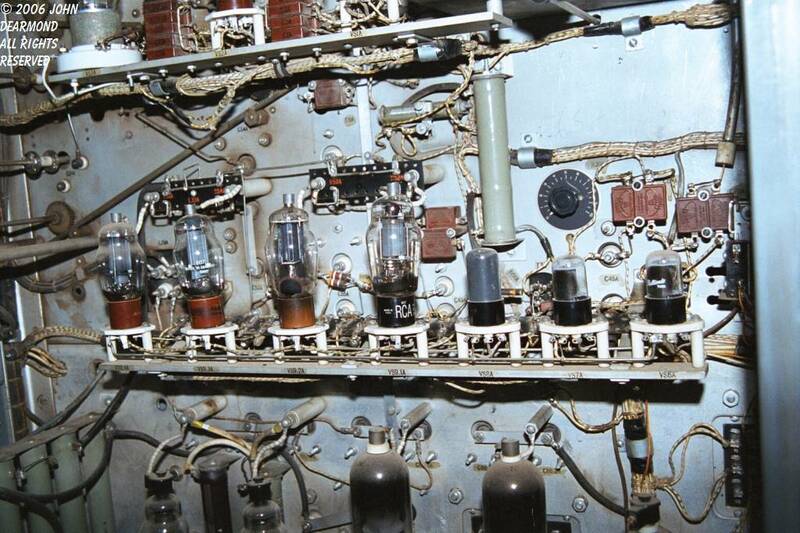 A Western Electric (yep, Da Phone Company) all fire bottle (vacuum tube) transmitter. Like everything else that WE made, this thing is a marvel of workmanship and sturdiness. Alas, all things must change and as you can see from the first photo above, this transmitter has been relegated to the scrap heap, pushed aside by the sleek young whipper-snapper solid state Harris transmitter. It gets the job done but can you say DULL? It doesn't glow. It doesn't hum. It doesn't heat the building. it doesn't make the power company smile on the way to the bank. It just sits there dully cranking out kilocycles. Oops, kilohertz. If all goes well, hope is not lost. I'm working on recovering this jewel and putting it back into service, this time as the 160 meter AM transmitter of WD4OQC! amplifiers, and the other half add carrier peak power during modulation. There is a 60 Hz version (the AR) and a 25 Hz version (the AS). Thanks John. Also thanks to John Burns for additional info. Always happy to correct errors. Here the old girl sits, dusty and alone. 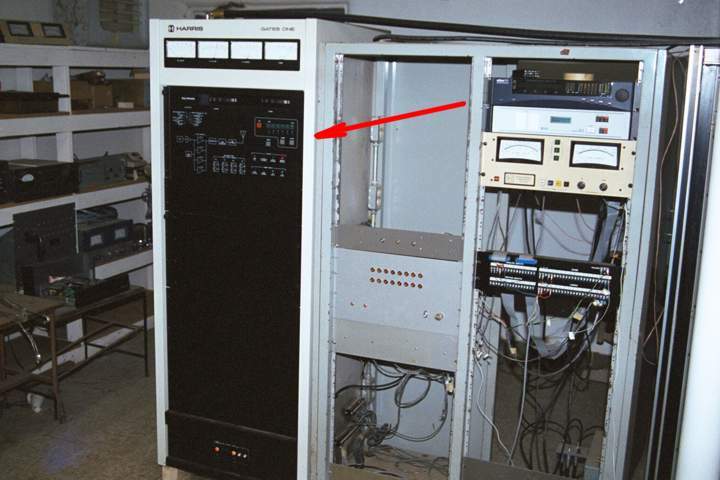 This transmitter was capable of 5KW RF 1kW RF out but at this station, the license only permitted 1KW during the day so it just loafed along. Here we see the low level stages. Look at those gorgeous fire bottles! Look at that workmanship! Here we see the power amplifier and audio modulator driver. 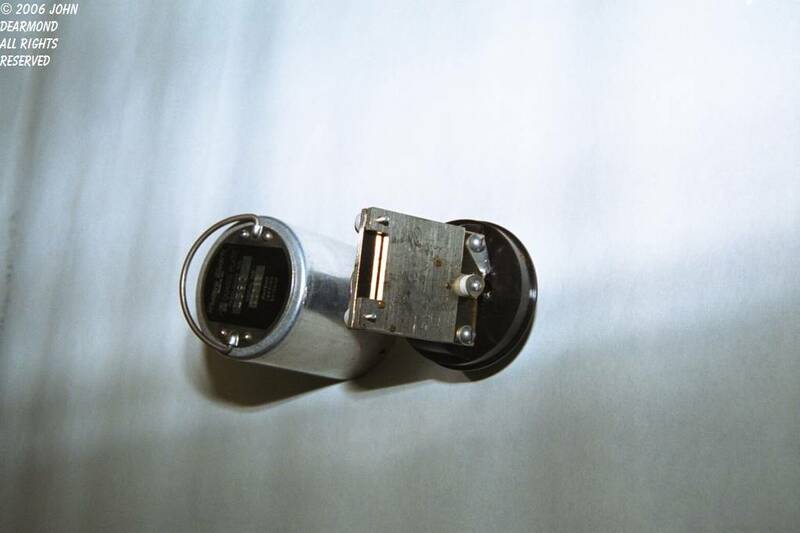 I believe that the blackened tube is the modulator and the other two sockets held the RF PAs. Even though this transmitter just loafed along, time does pass. Especially for that modulator tube. All 4 tubes are part of the PA. 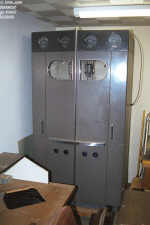 It uses a Dougherty architecture. The RF Deck. 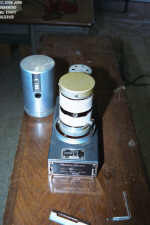 The big can on the right is one of two crystal oscillators. 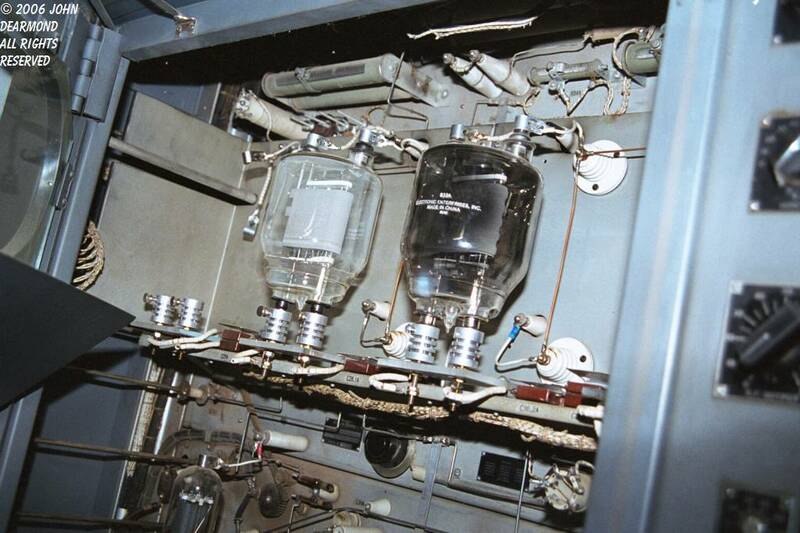 Crystals weren't so reliable back then so by regulation the transmitter had to have two. If one drifted off-frequency the other could be switched in. 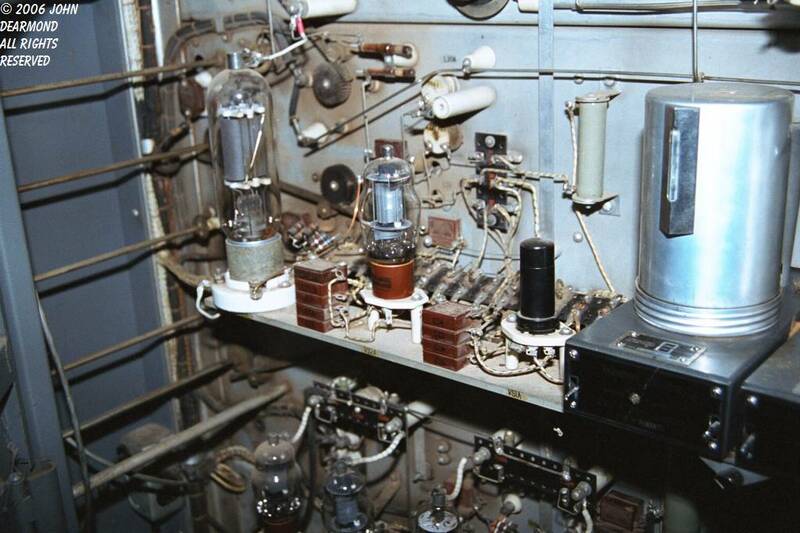 Ahh, the days when a transmitter had to have an engineer on-site. Here we see the two crystal ovens. 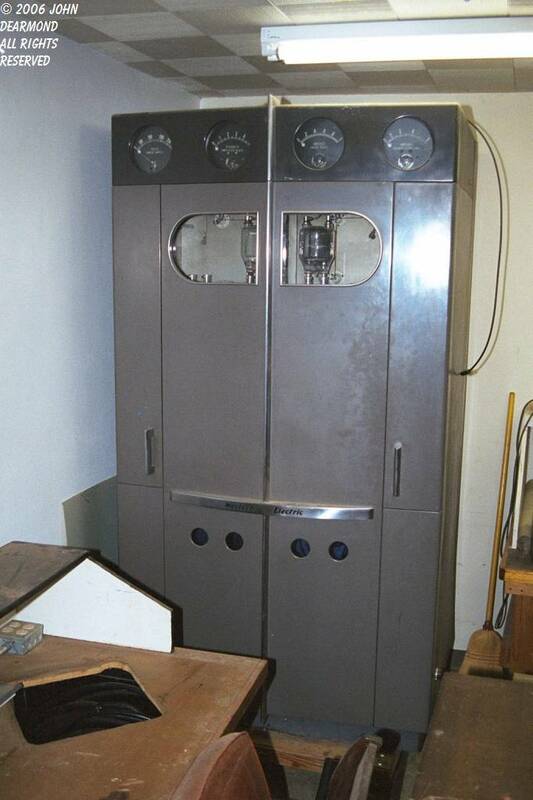 The vertical glass objects on the front are thermometers that indicate the temperature inside the oven. 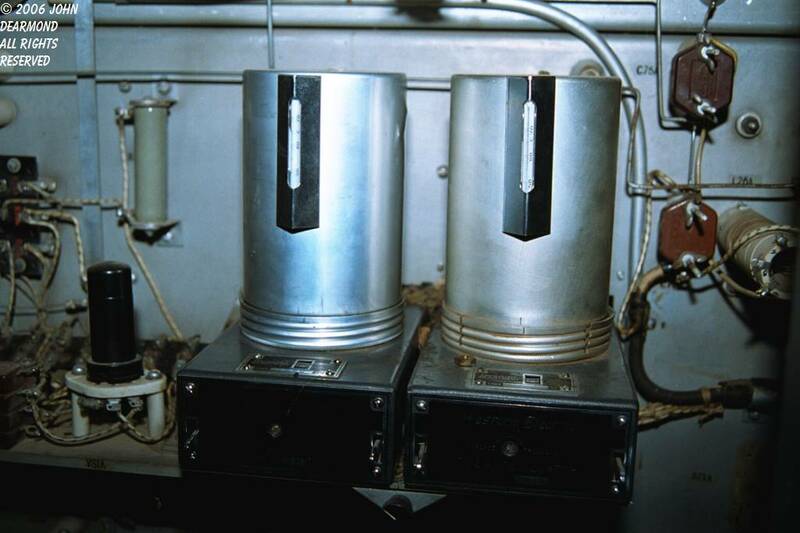 The oven is heavily insulated and heated to maintain the crystal in a controlled environment. Here we see the oscillator module with the outer can of the oven removed. The heater is wrapped around the white asbestos (Oh My Gawd!) and the crystal is inside the alodined can. The bent-stem thermometer can be seen in the foreground. Here's what the crystal looks like. No puny little can surface-mounted on some PCB, Nosirree. This is a MAN's crystal. 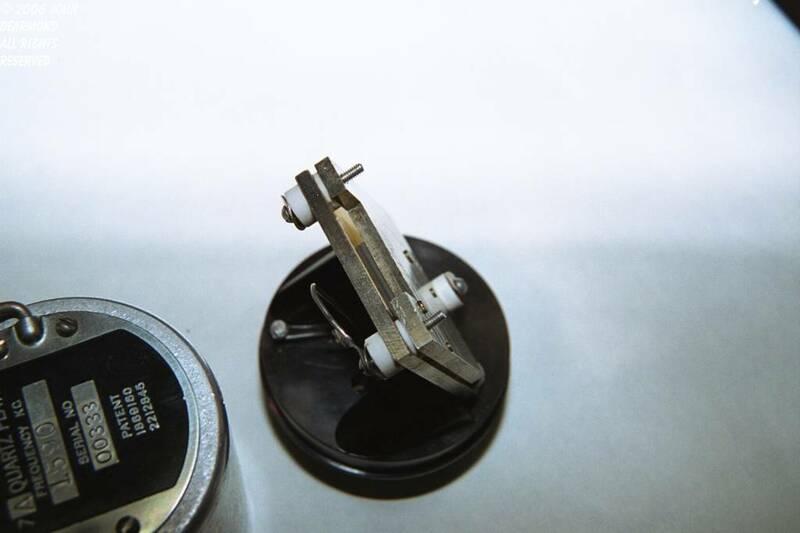 Carefully hand cut out of the finest natural quartz and ground to frequency then clamped between the two heavy plates. The tension could be adjusted to trim the frequency. Here's what replaced the old gal. Just the part on top that the arrow points to. The DC power supply is in the bottom and air fills the rest of the rack. About as charming as a hand grenade. At least the old modulation monitor and antenna phaser remains in use (right side). Like they used to say when cartoon were worth watching, "ThaThaThats all folks."